Aadhaar Card Search by Name and Father Name: Aadhaar card is the twelve digits unique identification number issued to the citizens of India by Unique Identification Authority of India (under the Government of India) in 2009. This card is one of the most vital documents of Indian citizen so as to provide them with a universal identification number and so, this is linked to all the official documents of an Indian citizen. There is no age limit for getting an Aadhaar Card – all people starting from a newborn to a senior citizen, everyone can avail the facilities of an Aadhaar Card. The Aadhaar card has now become a key to various other documents like Pan cards, Identity cards, Passports, driving licenses, bank accounts, and many other processes. The Unique Identification Authority of India (UIDAI) works under the Niti Ayog commission. Aadhaar Card has an official website where all the details of the same can be found and that site is also controlled by the Unique Identification Authority of India. You can check the site at www.uidai.gov.in. You need to search and select the option for Aadhaar Number (UID). By default, the same tab is selected there. Then you need to enter your name exactly the same as you had given at the time of registration for Aadhaar card. After entering your name, enter your email id and the registered mobile number. These need to be the same as that entered during registration of Aadhaar card. Enter the security captcha code as mentioned in the box. Finally, after filling in all required details, click on the option for “Get OTP”. The One Time Password (OTP) will be sent to the registered email ID and mobile number, and it will be valid for a total of 5 minutes. Enter the OTP in the provided box and click on Verify OTP option. If the OTP is verified, there will be a pop-up on the screen displaying that the Aadhaar UID has been sent to your registered email ID and mobile number. In the mail or SMS received, you can download and check the Aadhaar card. 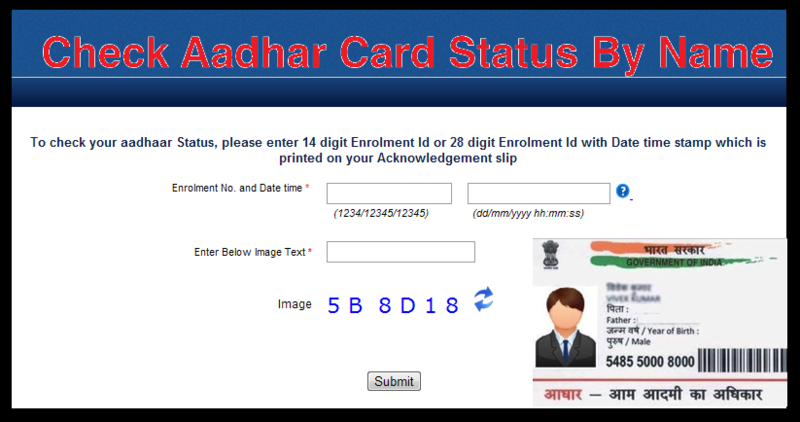 You can also download the same at http://eaadhaar.uidai.gov.in. Prior to this initiative, there was no online system that a citizen could use to search for his/her Aadhaar card by his name. But the continuous developments and updates on the page have made it possible today to download all required information; by the use of the name, registered email ID and phone number. This is a rather simple and effective measure, thus allowing easy access for the applicants. UIDAI strives to ensure the protection of confidentiality of Indian citizens along with their identity information to achieve good governance. It values integrity and maintains regulations in accordance with the Aadhaar Act. This collaborative approach will certainly build a strong, transparent and sustainable Indian economy and help in good governance and transparency of processes.